﻿ Carlton Tower Hotel, Kuwait | FROM $57 - SAVE ON AGODA! "I had a good stay at CT."
Have a question for Carlton Tower Hotel? "Carlton Tower Hotel is good to spend one or two night." 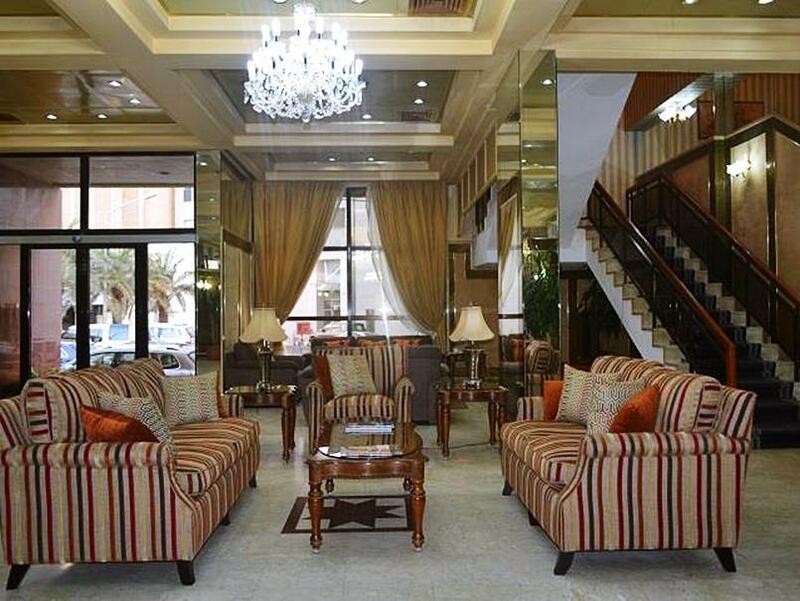 "Very good hotel close to Mubarkiya souq"
"It was clean, quiet and everything worked well." 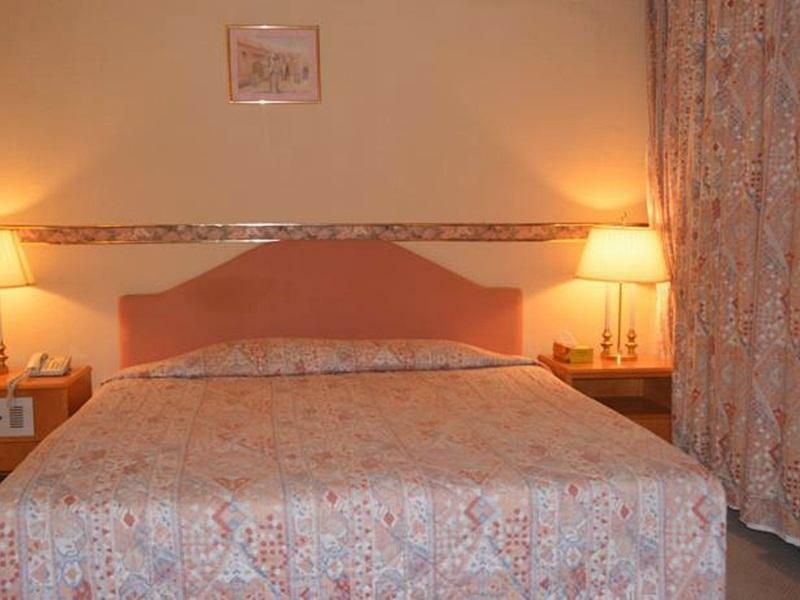 "Overall its good hotel for short stay"
This is a business friendly accommodation with recent renovations boasting contemporary decor and modern amenities. Carlton Tower Hotel is conveniently located in between the Kuwait International Airport and the city center. Exploring the town and sightseeing is made easy as the hotel provides car rental services and an on-site travel agent. Feel free to stop by the on-site salon to look your best before an important business meeting or company function. For those celebrating a romantic occasion, there is a flower shop located within the hotel. Business travelers may stay connected to the outdoor world as the hotel provides email access. "Good hotel location near to market clean small park"
Locals or guests with local residency are not allowed to book single occupancy rooms. I liked almost everything there. Central location in Kuwait City, short walking distance to the beach promenade and one of the major bus stops in the city. Not far even to the Kuwait Towers, the nice mall area etc. Room have everything one needs - comfortable beds, nice bathroom, tv, fast wi-fi, fridge, nice view from the window. Breakfast is good too. 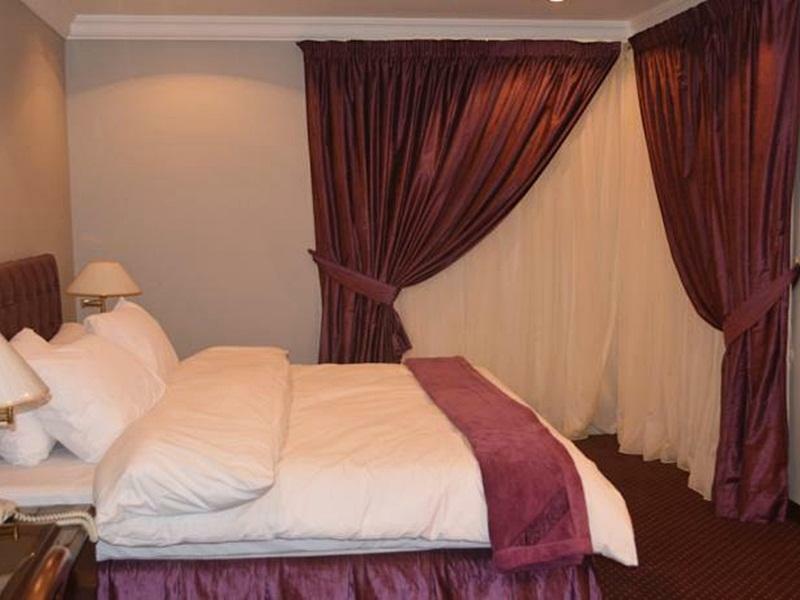 And most important - value for the money as the hotel price is unbeatable for the comfort you get. No gym no spa Not 4* Location good Bed and duvet needs changing. Think the haven’t changed for so many years If you want kettle or iron you have to call reception. Bring your own teabags milk and sugar as hotel didn’t give us! The hotel was OK but very disappointing staff, PARTICULARLY RECEPTIONIST, who gave wrong info for breakfast timing between 7 to 11 am, when it was upto 10am only. I stayed 2 days, on second day I went to have breakfast at 10:10am, it was closed, I asked her, she was not ready to accept her mistake saying she is there for 5 years, that means a person who is there for 5 years, cannot make mistake?? Instead she call me (a guest) a LIAR. The customer service goes for FULL TOSS. No manners. Tried to contact manager, but he is NEVER available. Least they could have done is offerred some breakfast after all this, since I am Diabetic and had already taken medicine before breakfast, and had to eat something soon. BUT NO, I had to get dressed up and go outside to have breakfast which took 30 mins and was dangerous for me being Diabetic, sugar levels rise. Upon check in they inform us that they are not accepting local guest unless it is a family. Luckily, we have another residence from other GCC and finally they allow us to check in. Property should notify their guest in advanced about their policy. The property is already old and even if you turn off the AC it is still cold. They don't also provide slippers, bottle water, no coffee/tea, no kettle inside the room. Lastly, the key card of the room is not working and the maintenance couldn't fix it. Great location and for that, it was a great value. Burger King and Pizza Hut were just outside the hotel. Worst thing about the hotel was the eyesore building right next to it, which obstructed what would have otherwise been an incredible view from my room. Can't blame the hotel for that. 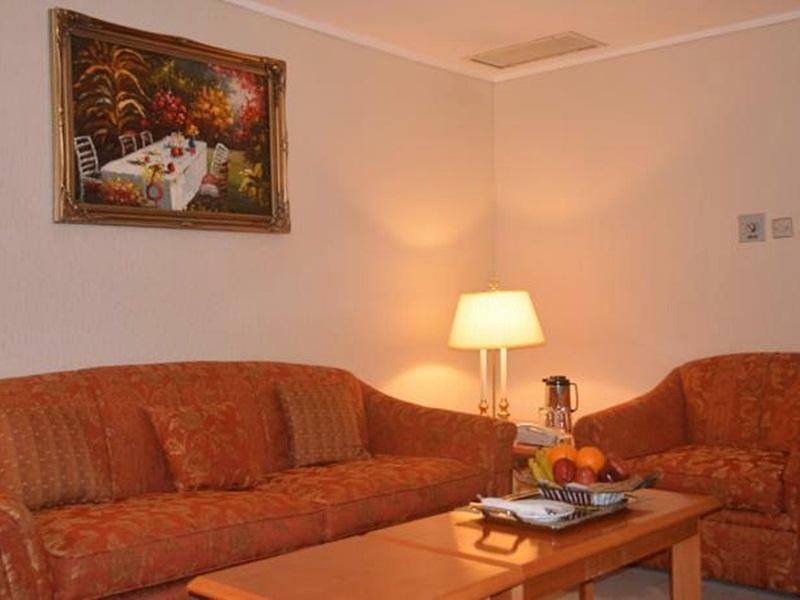 The room was large and clean and the staff was helpful and very polite. I would definitely stay there again, and would recommend this hotel to anyone. I will recommend this hotel to only business travelers since location is very central, nearby to market, bus stand and in the heart of city. Not suitable for families though, as staff is hardly helpful and breakfast also not up to the mark. The rooms are Ok but not outstanding. Carlton Tower Hotel is good to spend one or two night. it is an old hotel, nothing special, and no luxury. However, they are still keeping neat and clean. I had twin bedroom, and the room size was fine. if you have a car, you might face a problem finding a parking lot at night. I found it so expensive, but in a country with no hostel was the only easy option. I hope to find something else if they want more tourism. Not for backpacking budget but I knew where I was going, only for testing. i booked this hotel through Agoda and the price was very competitive , the property is well maintained and have professional staff i would recommend this to any business traveller from around the world as well as for Families. Room is a little small but cozy and clean. Bathroom is clean and of a decent size. Beds and pillows are cozy and allow for good sleep. Satellite TV is basic with BBC News and a couple of english movie channels and a bollywood channel. Wi-fi is very slow. Staff are helpful. One thing to note is that they really crank up the A/C, that most of the time you need to keep the thermostat at low or switch it off as it gets really cold. Have not tried their breakfast. All in all, excellent value for money for some one on a business trip or a solo traveler though the amenities are basic. The staff said they only allow tourists and couple with marriage certificates. They don’t allow solo kuwait residents. I am a filipino holding a kuwait residency/civil ID. I was disappointed. I went to a different hotel in Salmiya and they have admitted me to stay one night. Rude staff also in this hotel. They didn’t refund my agoda booking. bugs bed...dirty room.....receptionist is terrible...shuttle bus so dusty and dirty seems like they haven't clean the shuttle for decades. very dissappointed with the trip. I had a good stay at CT. It was clean, quiet and everything worked well. It has a decent location and the #13 bus from the airport stops very close by so I used it in both directions. good location and staffs. very clean rooms.